BROWN, L., Private, 3/20th London Regiment. Joining in February 1917, he proceeded three months later to the Western Front. In this theatre of war he took part in several important engagements, and was taken prisoner at Ypres in March 1918. Interned in Germany until after the cessation of hostilities, he was repatriated in December 1918, and employed on various duties at Woolwich until he was demobilised in 1919, holding the General Service and Victory Medals. 38, Miall Road, Sydenham, S.E.26. BROWN, M. (Mrs. ), Née Lupton, Special War Worker. This lady volunteered for work of National importance during the war, and was engaged for two and a half years at the National Filling Factory, Abbey Wood, During this period she was employed in filling friction tubes, work of a highly dangerous character, and she carried out her duties in a very efficient manner. 3, Blakeley Buildings, Tunnel Avenue, Greenwich, S.E.10. BROWN, P. F., Gunner, R.F.A. 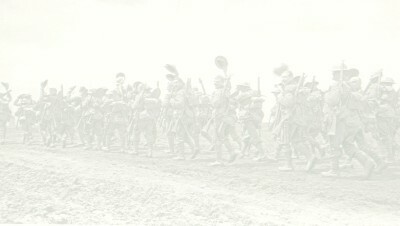 He volunteered in November 1914, and in the following March proceeded to France. During his service on the Western Front he took part in the engagements at Neuve Chapelle, and was wounded on the Somme in February 1917 and invalided home. On recovery he rejoined his unit in France in the following August, and served at Givenchy, Ypres and Cambrai. After the Armistice he proceeded to Germany with the Army of Occupation, with which he served until May 1919, when he returned to England and was demobilised. Later however, he re-enlisted, and in 1920 was with the Army in India. He holds the 1914-15 Star, and the General Service and Victory Medals. 39, Oareborough Road, Deptford, S.E.8. BROWN, R. C., Private, 7th London Regiment. He was mobilised in August 1914, and in the following March was drafted to France. Whilst overseas he served in the engagements at Neuve Chapelle and Festubert, and was taken prisoner at Loos in September 1915. He was held in captivity in Germany until the Armistice and was then released and repatriated. Discharged in December 1918, he holds the 1914-15 Star, and the General Service and Victory Medals. 194, Commercial Road, Peckham, S.E.15. BROWN, R. E., Private, 1st Middlesex Regiment. A serving soldier at the outbreak of hostilities, he proceeded to the Western Front in August 1914, and fought in the Retreat from Mons, and the Battles of the Marne, and Aisne. He also served at Ypres, Neuve Chapelle, Hill 60 and Loos, and was unhappily killed in action on the Somme in 1916. He was entitled to the Mons Star, and the General Service and Victory Medals. 49, Dillwyn Road, Sydenham, S.E.26. BROWN, R. H., Corporal, R.A.S.C. He volunteered in December 1914, and drafted overseas in 1916, served on important duties with the 15th Railhead Supply Detachment. He was present at various engagements, including those on the Somme and at Albert, Cambrai, Epehy and Amiens, and was wounded at Corbie in March 1918. Returning home he was demobilised in the following May, and holds the General Service and Victory Medals. BROWN, S. (Mrs.), Special War Worker. For nearly three years from June 1916 until February 1919, this lady was engaged in the manufacture of masks and respirators at the anti-gas department of the Ministry of Munitions. During this period she rendered excellent service, and was highly commended for her efficiency. 17, Lucey Road, Rotherhithe, S.E.16. BROWN, S. F., Private, 7th East Yorkshire Regt. He volunteered in August 1914, and proceeded overseas in the following year, and whilst on the Western Front took part in many important engagements, including those at St. Eloi, Hill 60, Ypres, Loos and Vimy Ridge. He was severely wounded in action in March 1916, and was invalided home, and after receiving medical treatment was demobilised in January 1919. He holds the 1914-15 Star, and the General Service and Victory Medals. 33, Selden Road, Peckham, S.E.15. BROWN, S. V., Gunner Signaller, R.G.A. Joining in 1916, he crossed in the same year to France, and during his service in this theatre of war took part in much heavy fighting. He served on the Somme, and at Ypres and Arras, but later was unhappily killed in action on April 3rd, 1917, and was entitled to the General Service and Victory Medals. 35, Walnut Tree Road, Greenwich, S.E.10. BROWN, T. J., Driver, R.F.A. He volunteered in April 1915, and in the following November was drafted to France. Whilst overseas he rendered excellent services as a driver at Loos, Vimy Ridge, the Somme, Arras, Ypres, Lens, Passchendaele, Amiens and Bapaume, and during this period was attached to the ammunition column. He returned home and was demobilised in 1919, and holds the 1914-15 Star, and the General Service and Victory Medals. 19, Buchan Road, Peckham, S.E.15. BROWN, W., Bombardier, R.F.A. He was serving at the outbreak of war and was almost immediately drafted to France, where he took part in the Retreat from Mons. He was also in action in the Battle of the Marne, and was wounded on the Aisne and invalided home. On his recovery he was engaged on important duties in England until July 1916, when he returned to France, and served in the Battles of the Somme, Vimy Ridge, Bullecourt, Ypres, Lens, Cambrai, and the Aisne, and in various later engagements until the cessation of hostilities. He returned home and was demobilised in March 1919, and holds the Mons Star, and the General Service and Victory Medals. 13, Banstead Street, Nunhead, S.E.15. BROWN, W., Gunner, R.F.A. Volunteering in November 1914, he proceeded to France in September of the following year. Here he served in many important engagements and was in action on the Somme, and at Arras and Vimy Ridge, and was severely wounded at Bulk court in April 1918. He was sent home to hospital and subsequently invalided out in November of the same year. He holds the 1914-15 Star, and the General Service and Victory Medals. 34, Banyard Road, Rotherhithe, S.E.16. BROWN, W., Driver, R.A.S.C. He volunteered in November 1915, and in January of the following year was drafted to the Western Front. He did valuable work with the transport section, conveying supplies and food and ammunition to the forward areas, and later into Germany. On proceeded with the Army of Occupation returning home in May 1919, he was demobilised, holding the General Service and Victory Medals. BROWN, W., Private, R.M.L.I. He joined in April 1917, at the age of seventeen, and after his training was engaged on important convoy duties in the North Sea. He rendered valuable services until the cessation of hostilities, and in 1921 was still serving. He holds the General Service and Victory Medals. 15, Reynolds Road, Peckham, S.E.15. BROWN, W. L., Private, R.A.S.C. (M.T.) Volunteering in April 1915, he proceeded overseas later in the same month and did valuable work as a driver in the second Battle of Ypres, and on the Somme. Whilst serving at Bullecourt he contracted an illness, and was invalided home, and after a period of treatment in hospital was discharged as medically unfit for further service in 1917. He holds the 1914-15 Star, and the General Service and Victory Medals. 25, Tell Grove, East Dulwich, S.E.22. BROWN, W., Private, l9th London Regiment. He joined in February 1916, and later in the same year sailed to Egypt, where he served with the British Forces under General Allenby in the Advance through Palestine, and saw much fighting. He was severely wounded in October 1918, and was invalided home, and after receiving treatment in hospital was discharged as medically unfit for further service in July 1919. He holds the General Service and Victory Medals. 48, Henslowe Road, East Dulwich, S.E.22. BROWN, W., Rifleman, Royal Irish Rifles. He volunteered in December 1914, and in the following year was drafted to France. Whilst overseas he served in many important engagements, including those at Loos, the Somme, Arras, Cambrai and Villers-Bretonneux and was severely wounded in the Advance of 1918, and invalided home. Subsequently he was discharged as medically unfit for further service in January 1919, and holds the 1914-15 Star, and the General Service and Victory Medals. 22, Knoyle Street, New Cross, S.E.14. BROWN,W.A.,Pte., 24th London Rgt. (The Queen's). He volunteered in August 1915, and in the following February was drafted to France, where he took part in the engagements at Vermelles, Ploegsteert Wood and Vimy Ridge. He gave his life for King and Country in the Battle of the Somme on September 17th, 1916, and was entitled to the General Service and Victory Medals. 16, Staveley Road, Peckham, S.E.15. BROWN, W. A., Bombardier, R.F.A. Volunteering in November 1915, he proceeded to the Western Front in March of the following year, when his training was completed. He served in many important engagements, including those at Givenchy, the Somme and Ypres, and was wounded in November 1917. After the Armistice he proceeded to Germany and was engaged on important duties in the occupied areas until June 1919, when he returned home and was demobilised. He holds the General Service and Victory Medals. 35, Rutland Road, Catford, S.E.6.